Videos : Man shot in the head after argument during children's hockey game. 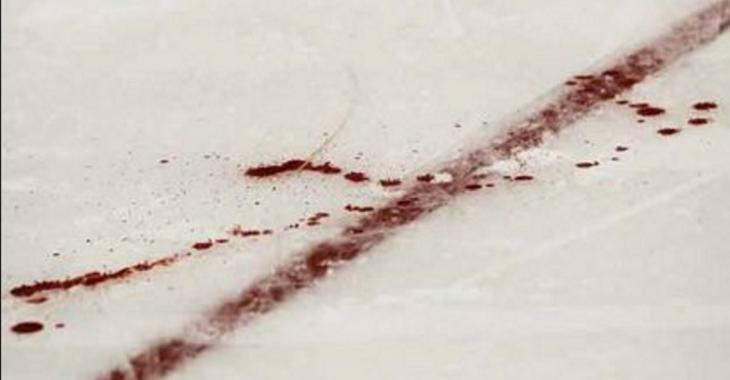 Man shot in the head after argument during children's hockey game. If you have every watched some of the YouTube videos that come out of Russia it can at times be enough to convince you that Russians are actually living in a complete different world than the one we are accustomed to in what we know was the West. A recent incident at a hockey game appears to have reinforced that notion with the level of escalation going well above and beyond anything you would ever reasonably expect to see on this side of the Pacific Ocean. Of course I'm sure this is not normal practice in Russia either but my god what an absolutely wild, and in many ways stomach churning, story this is. According to a report from Russian website IZ, there was a crazy incident at a children's hockey game in Moscow, Russia during a tournament known as the Moscow Cup after an argument broke out between two men. Now given that the information has been translated from Russian we are not entirely sure whether or not the two men were parents or family of the children on the ice but I have to imagine that is indeed the case because, if we're being honest, who else really goes to see children's hockey games? It's unclear what the argument is about but according to the report the two men are known to one another and may have had previous run ins due to victim in this case stating that he had previously attempted to create distance between himself and the perpetrator. What we do know for certain however is that whatever the argument was about one man decided to take things way too far and pulled out a firearm, discharging it while the kids were playing out on the ice and striking the other man in the head. Amazingly the man who was shot appears to have suffered relatively minor injuries all things considered and is currently recovering in hospital. A third man who was not involved in the argument apparently got his hand up in time to change the trajectory of the bullet, although it's unclear if that man merely managed to strike the shooter or if he himself was shot in the hand in his attempt to save the victim's life. The fact that anyone would do this, much less when children are around, is absolutely sickening. Here's a brief and poorly shot video of the event in question.